My newest grand-daughter, Rawlings, needs a Christmas stocking. I have made them for most of my grands (one daughter wanted to make her children's herself, which seemed quite reasonable). With her mommy's permission, I am at work on a stocking for Rawlings. 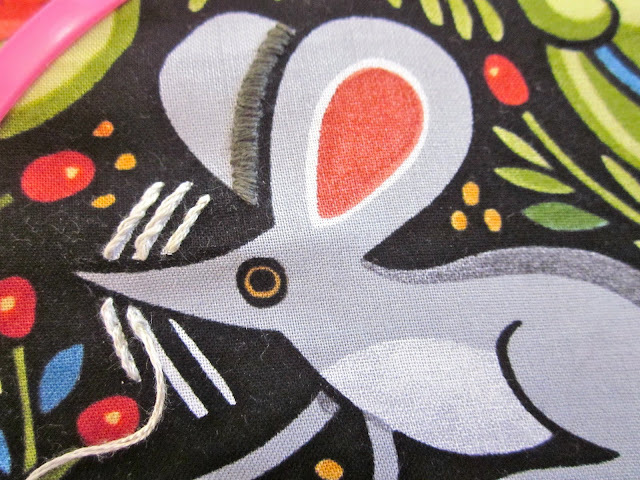 All the other stockings I have made are felt with sequins, in the classic Christmas designs (reindeer, Santas, snowmen, etc). Frankly, the thought of doing another felt stocking just left me bored stiff, so when I spotted a panel of printed stockings in a fabric shop a couple of weeks ago, the idea took hold to use the printed stocking as my starting point and embellish and add to the panel to make something different, and unique, for Rawlings. 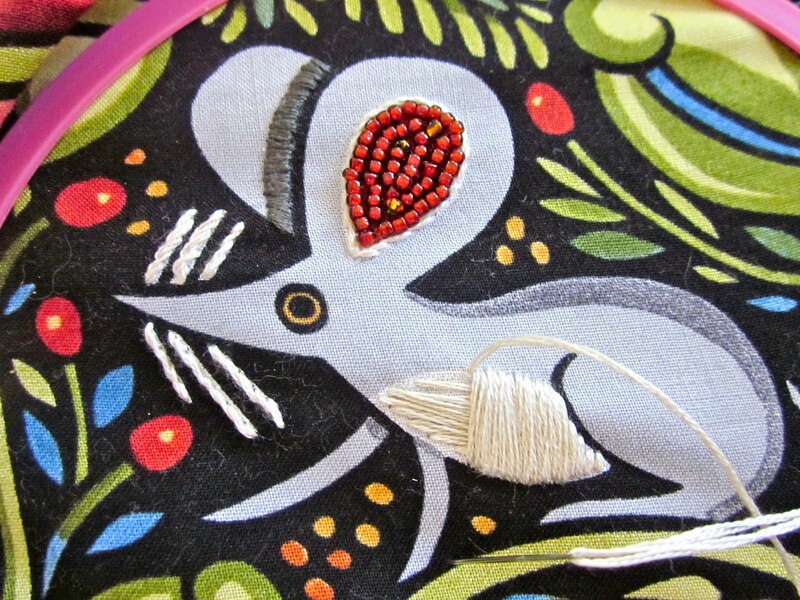 I decided that I liked the mouse stocking best so I started "gooping" the little guy up. 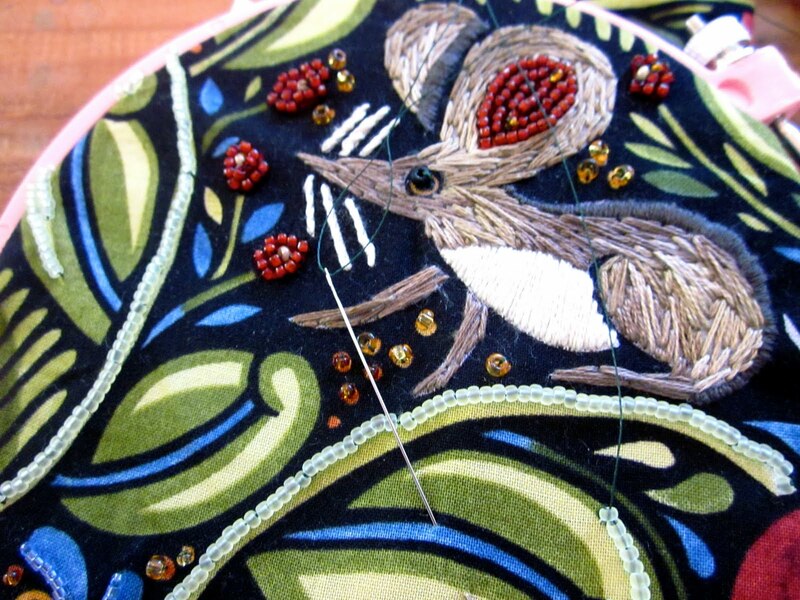 I did embroidery on the mouse and a little beading on his ear. 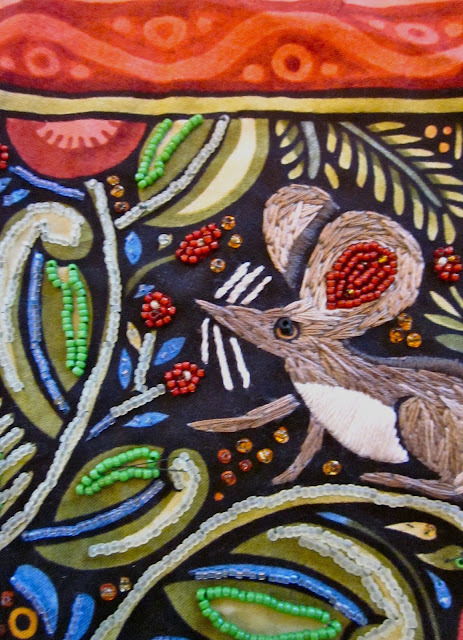 The I got carried away with the beading of the floral design surrounding the mouse, and just kept going. 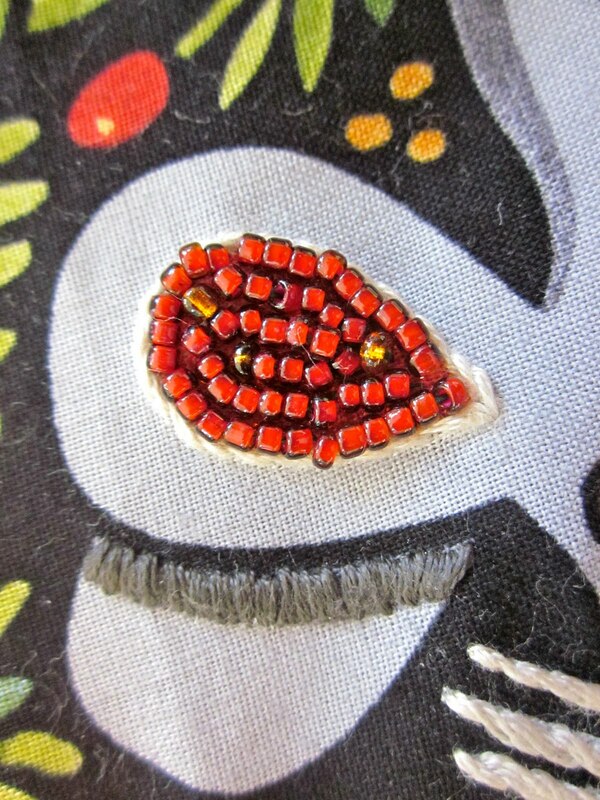 I have almost finished beading the floral band and will soon be able to start on the body of the stocking. I am not sure what I'll do....maybe some more embroidery, more beading for sure. I am totally surprised at how much I am enjoying the project. I'll update when I have more to share. Anyone else "addicted" to beading? Who knew I'd enjoy this process so much! It's beautiful! I know a little girl who will cherish it forever. The beading is so cool! 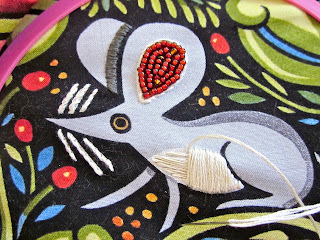 Plus I love the different colors you have blended on the body of the mouse. Great Great project. Can't wait to see it when it's done.